PRIYO Tech which is an acronym for (Providing Real Innovative Youth Opportunities) is an Education-Technology social enterprise that has developed a portable solar computer lab-in-a-bag that can convert normal classrooms into temporal computer labs empowering teachers to improve the quality of education by equipping them with digital literacy skills and resources that they need to use technology as a catalyst to prepare students for the jobs of tomorrow using Augmented Reality and the internet-of-things thus making education more accessible especially for children and youth studying in under-resourced rural and peri urban schools and communities. This in-turn empowers learners to improve their grades, gain university entry, and are prepared to take opportunities for the Jobs of tomorrow in Big Data, Block chain and Artificial intelligence. We believe it is not enough to provide schools with technology but to adequately train teachers and students to use the technology. Hence we provide schools with digital literacy training, resources such as offline and online E-learning digital library, tablets, or laptops and a solar charging station for off-grid schools without electricity. And the most wonderful aspect about the innovation is that by using renewable solar energy we can reach even those communities without electricity helping bridge the digital divide between rural areas and urban communities. The world of work is changing. According to the world economic forum, 65% of children entering primary school today will be employed in jobs that do not yet exist. At the same time many jobs which exist today will become automated by artificial intelligence in the future. Mckinsey global predicts that almost half of all workplace activities could be automated in the future. Hence the big question is how can educators prepare students for jobs which don’t yet exist rather than equipping them with skills that may soon be obsolete? This may seem like an impossible task to add to an already overworked and, too often under-resourced, teaching staff. Hence we as Priyo Tech decided to help teachers and assist them in integrating ICT within their classrooms, and give students an insight into the role the fourth industrial revolution will play in determining and shaping their chosen careers. We equip them with basic knowledge on concepts such as artificial intelligence, virtual/augmented reality, Internet of things, Big Data and Block-chain and how they can use them to improve their grades and take advantage of the jobs of tomorrow. ►To prepare students for the jobs of tomorrow by teaching them about the concepts of the fourth industrial revolution and how they can use resources such as Artificial Intelligence and Augmented reality to improve their grades and chose careers that will make them employable. ►To empower teachers to improve the quality of education by providing them with digital literacy skills and resources that they need to integrate ICT within their classroom. ►Encourage and motivate young Children and Youth through STEM to be responsible Citizens. and offer them training and development that will encourage and in-still a vision in them to pursue STEM CAREERS. ►Expose disadvantaged children and Youth to technologies that will shape their future. Priyo Tech targets public and private schools that do not have computer labs and teachers who have been provided with labs but cannot integrate ICT within their classroom we offer them skills in IT:End user computing, ICT, E-Learning, Augmented Reality, Artificial Intelligence, Block-Chain and the Internet-of -Things. We use a Business to business (B2B) sales transaction whereby we sell directly to corporate companies and the Department of Education using a product + subscription revenue model, and for training such as ICT and E-Learning we use a (B2C) basis of which we offer directly to teachers and students using the on demand revenue model. 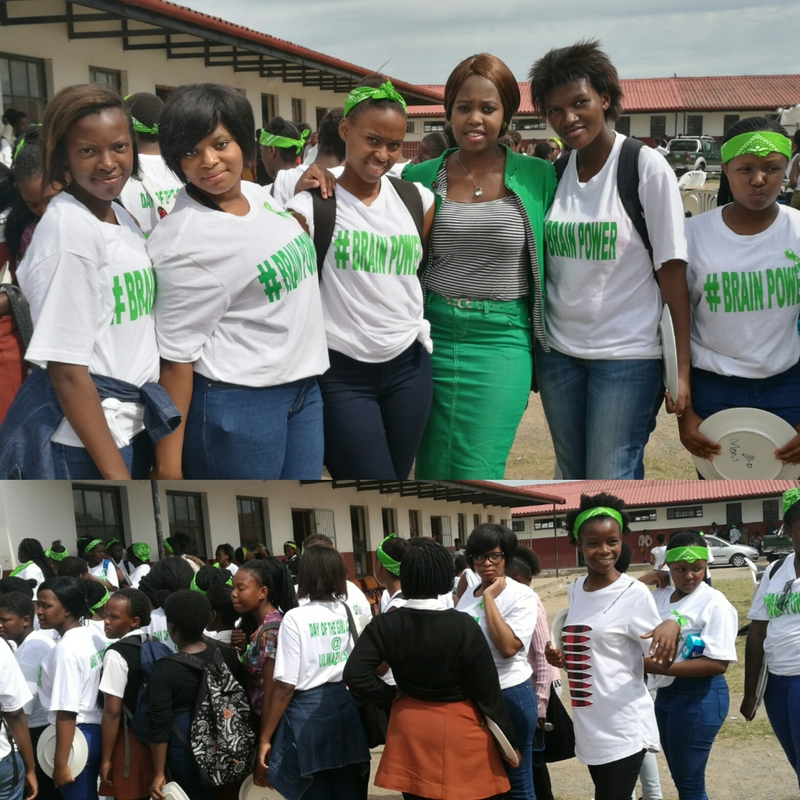 To date we have already trained almost 5000 students and impacted a total of 883 students and sold 3 Solar lab-in-a-bag furthermore 150 of our students have received Learnership opportunity to further their careers, 15 are currently employed and 3 have established their own businesses. 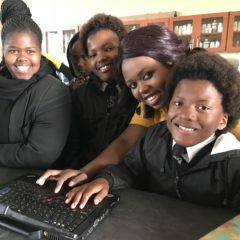 In June 2017 we were given 88 grade 8 students who had failed mathematics we taught them on how to use the E-School App and all 88 of them passed and are currently doing grade 10 as of 2019. We have been awarded with the Mdantsane heroes award, Youth in ICT Award, Start-up of the year Africa competition, SAB social innovation development award, GIBS festival of ideas, Engen Pitch & Polish and have worked with the Department of education, Red Bull, Spark International Young African Leaders initiative Mandela Washington Fellowship.